Kevin du Plessis has recently been appointed as the newest member of staff at Gay Pages magazine. He will be doing the magazine layout and design as well as contributing towards content, copy editing and articles. “I have always loved the magazine and I am very passionate about the work I’m doing now. I’m hoping to grow my career towards working with the LGBT community,” he said. Kevin has an Honours degree in English Literature, and comes from a background working in the South African visual arts field as a project manager and designer. He is also an award winning photographer. 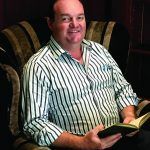 Niel Stander is the owner of Sensibus Consulting. “Working with people has always been a passion. 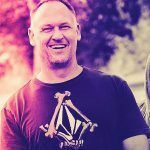 I am proudly South African and have extensive international experience in the military, leadership roles, consulting, and emergency medical care in areas that include Europe, Africa, and the Middle East,” says Niel. When not working, Niel is a family man and recreational ultra-endurance athlete. No sooner had the fiftieth episode of Evita’s Free Speech entered the internet highway, when the most famous white woman in South Africa – and now arguably on the continent itself – also received a gold medal. Not like Caster Semenya for an Olympic win, but to celebrate the first year of her weekly YouTube reality newsflash. Originally inspired by the planned 3 August municipal elections, Tannie Evita used her weekly three- to four-minute video-chat with the world to put South African politics and society into a nutshell, with the accent on optimism and truth. Underlining her freedom of expression that is guaranteed by the South African Constitution, Evita’s Free Speech has reached the ends of the world and beyond, with reactions coming from Siberia, Alaska, the Antarctic, Australia, Los Angeles, Yokohama, Tibet, Nkandla, Somalia, Mali, St Helena, Camp David, The Hague, Tripoli and even the International Space Station. Filmed at Evita se Perron in Darling every Sunday morning at 07h30, Mrs Bezuidenhout faces the world with the headlines of the moment, as well as her personal comments on the state of her nation and mankind. Produced by Skolliewood Films, the episodes are filmed, edited and distributed by Stefan Hurter. Evita’s Free Speech is entering its second annual output in the service of anyone who needs to believe that there is always a light at the end of the tunnel, even though most of today’s political tunnels are curved. Her weekly episodes are on the Evita-se-Perron YouTube channel and also carried by Daily Maverick, ZA News among international internet and media clusters. Dale Pudney is passionate about entrepreneurial ventures and business leadership. 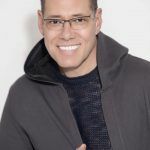 Having achieved success in his business career, he is re-investing that success into LGBT business leaders through The Shambhala Organisation that he founded. 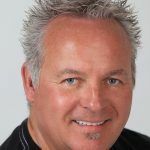 He spent many years as a management consultant focusing on rapidly growing, often technology based, businesses, as well as turnarounds of struggling companies (that need fast growth to survive). He built a reputation as a professional entrepreneur, strategist and business leader. For the last few years, he has been the Managing Director and co-owner of a business that optimises electrical power quality and transmission capacity and grew the business exponentially in a few years. 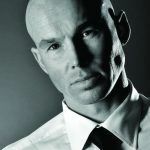 In late 2014, he founded The Shambhala Organisation, which is a network of initiatives focussed on promoting and supporting proudly LGBT business leaders. This includes providing scholarships for future LGBT business leaders, private equity funding for LGBT owned and managed entrepreneurial businesses and the coaching and mentorship of these business leaders to improve human performance. “The scholarship program is the philanthropic part of the business and it’s my way to give something back to the community in a way that supports my passions,” says Dale. Proudly LGBT business leaders and professionals need good role models to aspire towards and learn from. There are almost no such LGBT role models and mentors. As a result, the only aspect of the community that is in the public eye is the ‘gay scene,’ which detracts from the image that we as a community need. Vernondo Boshoff is fast becoming a photographer of choice in South Africa. It takes more than just a nice camera and desire to take pretty pictures to be successful in this creative yet technical and professional field and Vernondo seems to have found the balance. 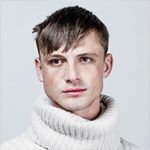 Vernondo obtained his diploma in photography from the Photographic Institute and received further training from one of the most sought after photographers in South Africa and abroad, Brett Florens. 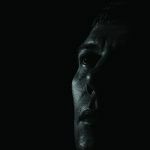 Not only is he one of the most professional photographers to work with, he also has the essential qualities that sets him apart from the rest. These include creativity, an eye for detail, excellent technical skills and the ability to capture the perfect shot. Vernondo specialises specifically in high fashion and commercial modeling photography. He’s the photographer of choice for Supermodels SA Magazine and has captured some of the biggest fashion events in the country including SA Fashion Week and Mercedes-Benz Fashion Week. Among the celebrities that he has worked with is television presenter and model, Shashi Naidoo, South African beauty pageant titleholder Melinda Bam (Miss South Africa) and the latest to the fashion industry, K2 Twins. I’m fascinated by the human mind, the potential of it, but also how a person’s mind can sometimes be detrimental to prevent them living up to their full potential and enjoying life. Also, I’m madly in love with people – I have a tendency to focus on the best in everyone, so psychotherapy and studying psychology was an obvious choice. My clients enjoy coming to me because it makes them feel better, but at the end of the day they do the work. I assist them, I listen to them, and I guide them and sometimes ask questions they might not have heard before or that they were too afraid to ask themselves. Coming to me for counselling, I think, feels like a mix of going to the doctor and visiting a good friend. Except you get all the attention and the focus is on you and not your friend, without having to feel guilty that it is all about you. I find that most clients appreciate the open-mindedness, confidentiality, and safe space that I provide for them combined with my holistic approach and at times humorous attitude to life. You might ask what brought me to Cape Town? I came to South Africa from Copenhagen more than a decade ago on a contract for an international company. I fell in love with South Africa and just never left again and I am grateful for the opportunity to live in the Mother City. It is a truly amazing place. 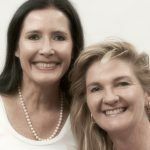 Avalene and Annale are both psychologists in private practice, with over forty years of combined experience. They are also life partners. Lance was born and raised in East London. He is a graduate of University of Fort Hare, with experience in the Educational and Psychological services industries. He currently serves as a Democratic Alliance Proportional Representative Councillor at Buffalo City Metropolitan Municipality. As an elected public representative he serves on several government bodies including the Municipal Public Accounts Committee and the Board of Directors of the Frere Hospital Complex. He has previously served on the Health and Public Safety Standing Committee and the Special Programmes Strategic Committee, which deals with programmes around HIV, women, children and the disabled. 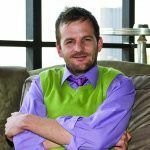 Lance is a dedicated human rights activist and has been invited to speak at international events on the plight of the South African LGBTI community. He was won the Mr Gay South Africa title in 2011 and was voted first-runner-up at Mr Gay World. Lance is a devoted supporter of the Eastern Cape Gay and Lesbian Association, an organisation that seeks to promote and protect the rights of the LGBTI community by means of education, medical advice, legal support, counselling services and social programs. Peter was born in the UK and then raised in Arabia and always wanted to return to where the people and the sun shines. He trained as a chef for many years, for which his friends are eternally grateful. He left the food industry to become a steward for British Airways, which he hated and left after six years. Following that, he went on to open a small flower shop in greater London which went on to “run me” for sixteen long years. It eventually became a four story emporium with nine staff. 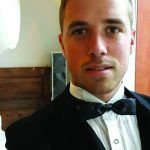 “My clients would fly me and a team round the world to do events and decor in Chateaus and on luxury ships!” says Peter. In 2002 he moved permanently to SA after arriving on a one-way three week passage on an ocean liner with no idea what he was going to do. “I just followed my heart to this stunning country.” He started off in Cape Town and bought a house in Wilderness on a whim while visiting for a few days in 2007, intending to fix it up a bit and resell, as it was being sold off so inexpensively. It was a real mess and it took three years to put it all right and in that time Peter fell completely in love with the area and all it has to offer. Kosie Smit hails from Fauresmith in the Free State. The platteland setting gave an innovative, creative and curious boy the opportunity to acquire a wide variety of skills. After completing his national service (1997) as singer and artistic creator, lighting designer and consultant for the National Air Force’s famous Canaries choir, he enrolled as a student at the then Pretoria Technikon’s Department of Entertainment Technology. Studying all the technical rudiments required for theatre, he later specialised in lighting design. His talent as set designer, artistic conceptualiser, producer and complete visual and creative all-rounder was quickly noticed. Kosie boasts an impressive list of over a hundred and fifty production designs and thirty productions produced – ranging from local theatre, television, film and corporate work to international productions. These projects include artistic collaboration with some of the biggest names in our arts and entertainment industry. Since 2006 Kosie has focused his talents on producing for the stage and productions such as Vettie Vettie, My Fat Friend, Twee Vir Die Prys Van Een, Altyd In My Drome – Die Musiekblyspel, DOP, Karel se Oupa, Cheaper than Roses, Black and Blue and more. Here is someone who can make you the best you, you can be. 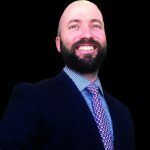 Warren Bronner is an HFPA certified personal trainer and qualified sports massage therapist with fifteen years working experience. Prior to his personal training career he was a fire fighter/paramedic at the old Sandton Fire Department and Johannesburg Emergency Management Services. His hobbies and activities include skydiving, trail running, obstacle course races, mountain biking, and abseiling. Warren specialises in weight loss, muscle gain, fitness, and generally helping his clients reach their goals. Whether that means trimming down or buffing up, maintaining that hot bod, or reaching a race oriented goal, he will help you! “I have always believed that physical fitness not only helps the body but the mind as well,” says Warren. He also offers sports massage therapy and he works out at the Virgin Active Sunninghill and is willing to travel on request. From a very young age Corné was fascinated by cameras and photography. At the age of sixteen, he won his first camera in a competition and this was the start of his exploration into the art of imagery. Corné has had a varied career from the corporate sector, to owning a franchise store that was part of an international brand. Since he bought his first SLR camera at the age of twenty-one, photography remained part of his life’s journey, although only then as a hobby. In 2013 his life journey once again took a new direction when he decided to sell the business and pursue his passion for photography as a career. Corné‘s passions are reflected in his photographic choices in the fields of automotive, product and portrait photography. He enjoys the challenges each of these fields present, due to their varied natures on so many levels. Most importantly, Corné aims to make his subject look the very best possible. Andre is a highly acclaimed and exceptionally talented dressage rider who is recognised both locally and internationally. He has won numerous national championships at all levels in dressage. 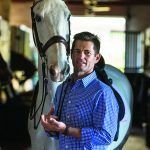 In 2016 Andre decided to take his beloved horse Zucca Dice across to Holland to train with top trainer Johan Hamminga where they are being trained and groomed to qualify for, and compete in the USA, at the World Equestrian Games 2018, being the largest and most influential of Equine sporting events in the world. “This will be the stepping stone to my ultimate dream to compete in the 2020 Tokyo Olympics, representing SA,” says Andre. In addition to his equestrian talent, Andre is a qualified opera singer, and maintains his training and still performs. A recent migrant to Johannesburg, Neil heads up the Gauteng office of Safety Solutions Africa – a fully registered risk management company specialising in Health and Safety, Food Hygiene and HACCP legislative requirements. Working up to four jobs at a time to put himself through university, Neil graduated top of his class and began working with Safety Solutions Africa. He was given the opportunity to become Managing Director for SSA in Gauteng, and has been living in Johannesburg since the end of 2016. Yihan Brönn is a modern-classic, stylish but edgy couture designer who has a heartfelt passion for taking people out of the mundane. He tries to incorporate a client’s personality into his work. After studying fashion design at the Technicon of Pretoria, Yihan started his brand Y NOT Designs and gained acclaimed celebrities and ambassadors for his brand before he decided to kick-start his own modelling career, where he modelled for international clients such as Diesel, Hugo Boss and DKNY. He travelled the world and worked in Dubai, London and Europe within the fashion industry in search of inspiration. Yihan Brönn Couture design was born after this and now after twenty years of specialising in women’s haute couture, Yihan launched his men’s range. He has dressed the likes Bobby van Jaarsveld, Theuns Jordaan, Elvis Blue, and Thabise Khambule.